Explore the ancient monuments, spiritual history, and countryside scenery of Portugal on this tour from Lisbon. Following a pickup at your Lisbon hotel, visit the must-see destinations of Batalha, Fátima, and Nazaré in one day. Discover the UNESCO–listed Monastery of Batalha, and soak up the atmosphere in the traditional fishing village of Nazaré. 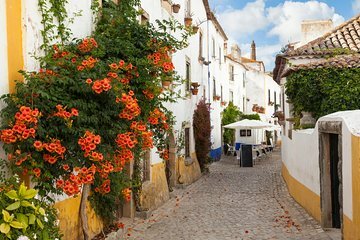 You’ll also have free time to stroll through pretty Fátima and medieval Obidos at your leisure. Found each place interesting, and didn't require much time to see. Obidos and Nazare are both dominated by people trying to sell all kinds of souvenirs. Can't blame them for that, but it detracts from the experience of both places. A word about the tour guide, David, a man with the patience of a saint. There were two other tourists beside my husband and myself. We were picked up in Cascais, then they were picked up in Lisbon. They wanted to change the music on the radio, didn't want to eat in the restaurant where David made arrangements and wanted o be taken back to Lisbon first rather than allowing David to leave us at Cascais which would have made more sense. They claimed to need this to catch a plane, but upon arrival , said they needed to shop. This resulted in David driving us in the afternoon tragic, which took two hours. Then he had to drive all the way back to Lisbon where he lives. Can't believe the prima donnas could be so demanding. Glad my husband gave him a big tip.